Following a number of high-profile hires already this year, German IP phone specialist Snom Technology has once again highlighted strong growth ambitions planned for 2017 by hiring Armin Liedtke as the new Head of Global Sales. Armin Liedtke’s new role will be to lead the Snom sales team to meet a series of bold targets as part of the German IP phone specialist’s new global strategy since the takeover by VTech. Utilising more than 25 years sales experience in the voice market at most recently Polycom as Sales Director Voice, Central Europe, and also including a 13-year period at Cisco in Hamburg, Amsterdam and Eschborn (Frankfurt) in a number of key roles, Liedtke aims to focus Snom’s go-to-market plans and sales strategy to meet the ambitious aims of the business IP phone vendor. 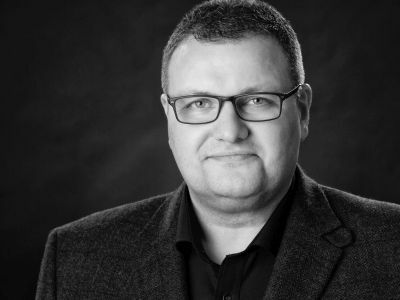 Liedtke, who has built and maintained strong business partnerships in Europe and overseen strong revenue growth in all of his previous positions, is an expert in building sales training and coaching programs with a deep understanding of desktop voice product lines. Snom will be exhibiting at this year’s UC EXPO, Europe’s number one Unified Communication and Collaboration event and you can meet the Snom UK team on 17-18th May at London ExCeL to learn more about existing and new products.